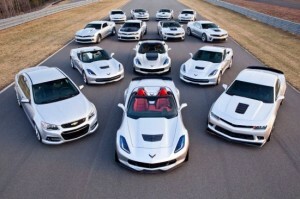 Next year, Chevrolet will have the best performance model lineup than ever before – with the new Corvette Z06 convertible, eight Camaros, three other corvette models Chevy will offer a total of twelve performance models. The ranges of horsepower amongst the sports cars vary between 323 HP to 625 HP. Mark Reuss, the Executive Vice President of Global Product Development for Chevrolet said, “For 2015, Chevrolet will have the best range in our history, offering a performance car for virtually every enthusiast, from the 7.9 L/100 km Camaro LS to the 625-Horsepower Corvette Z06 Convertible Supercar.” The next year will be a historical year for Chevrolet, for multiple reasons – it will be the first year ever that a Z06 will be a convertible and it is an all-time high record of Chevy sports cars. Chevrolet has unveiled a tiny SUV at the New York Auto Show late last week. 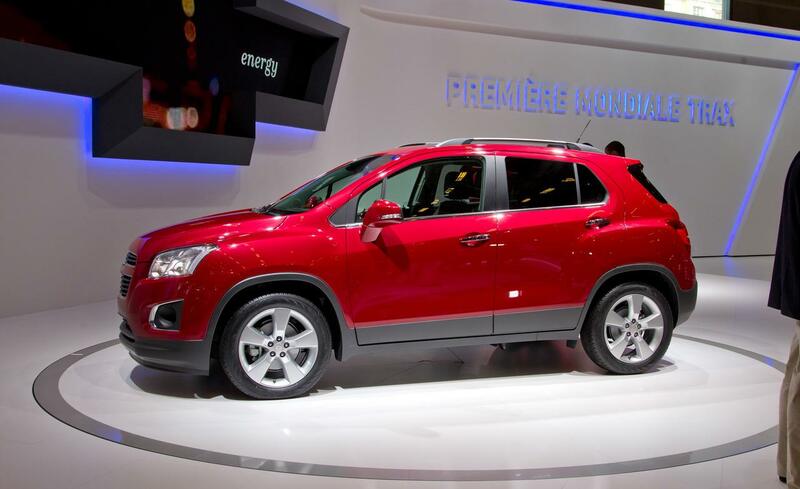 The new Chevy Trax will be available for purchase in two very large markets – China and U.S. markets – beginning early 2015. Chevy has designed a compact vehicle for customers who still like to sit high while driving. The Trax’s dimensions are very similar to the Buick Encore, which has been extremely successful since it was made available for purchase in 2013. On the inside, you can find that the Trax is very innovative – keyless entry, rear-view camera, and optional WiFi hotspot capability. Lastly, the little SUV can deliver 138 horsepower through its Ecotec 1.4 liter turbocharged four cylinder engine. 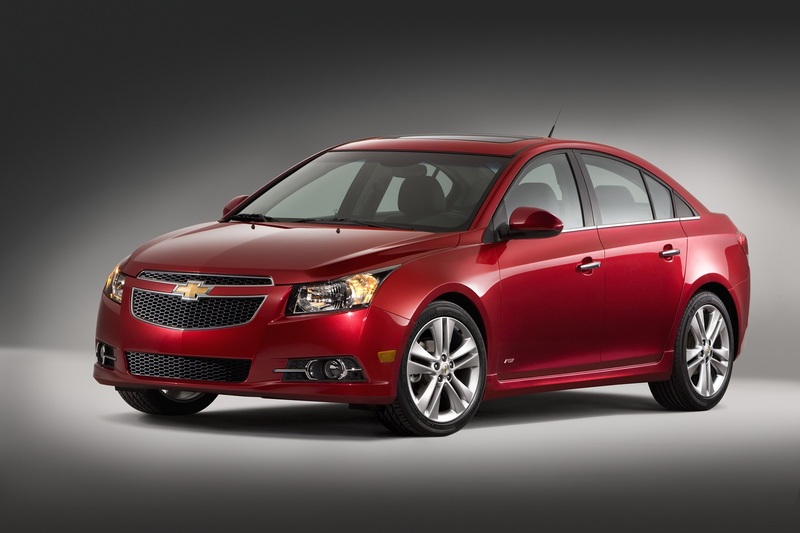 The 2015 Cruze has received updated front fascia design and technologies that have not yet been seen. The new model will offer stylish inside and outside modifications that will enhance the driving experience. This car will be the first in its lineup to offer OnStar 4G LTE – this will transform the vehicle into a personal information and entertainment hub. With text message alerts, a seven inch screen, and Siri Eyes-Free compatibly, no other car in its class comes close to what Chevrolet has to offer. The vehicle has been very successful already, so great sales are expected for this new revamped model. The Chevrolet Volt is currently the number one all-electric vehicle sold in the United States and now Chevrolet will offer it in two versions. 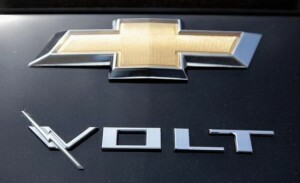 The redesigned 2016 Chevy Volt will offer a low price model with a smaller battery pack/shorter range and a redesigned model with better capabilities than the current model. The second generation Volt will begin production in a little over a year at Detroit’s production plant. 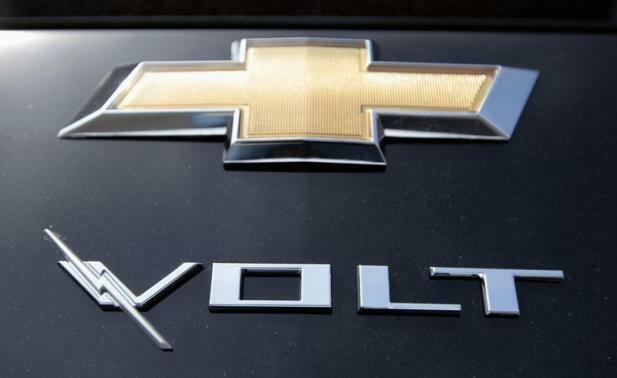 Mike Albano, a Chevrolet spokesman said that Volt customers are the happiest customers in the world and that they do not plan on deviating from that formula. Chevy asks you – Who says you can’t have it all? With expressive styling, outstanding fuel efficiency and standout safety technology the Chevy Cruze is redefining the compact sedan. The ingenious Cruze Eco offers 42 MPG highway – better than the Honda Civic or Ford Focus. The all-new Cruze Turbo Diesel offers the best highway MPG of any gas-only or diesel engine in America. 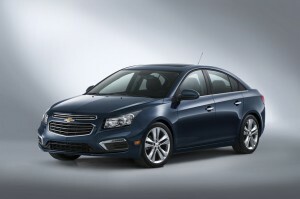 And Cruze was the first car in its class with 10 standard air bags. At first glance the Cruze has you captivated with its confident stance and pleasing proportions. Centered by the strong, attention-grabbing grille, its swept-back headlamps lead the eye across sculpted fenders, around the sides and back again. Oh – and don’t forget that those curves, lines and angles do more than just turn heads – they are designed to improve aerodynamics which optimizes fuel efficiency and helps you get the most out of every gallon. 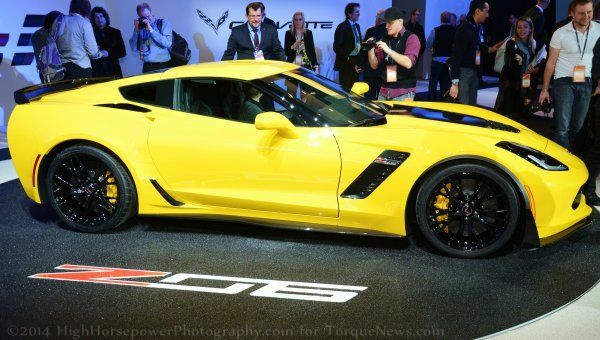 The 2015 Chevrolet Corvette Z06 will become a part of history. It will be the first modern ultra-high performance Corvette to feature a seamless powerful automatic transmission. Chevrolet has always made the Z06 and ZR1 models a manual transmission, but next year they will unleash their latest innovation. Traditionally, sports cars are offered in manual transmissions because fluid-driven automatic transmission technology could not provide the type of performance expected from a vehicle meant for speed – however, times have changed and technology has taken us far. Chevrolet has announced that for the new 8L90, they will use a more traditional automatic transmission design with the performance of a track Corvette – they have been busy at work, engineering and bringing to life this new 8-speed automatic. 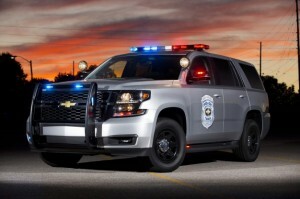 Chevrolet has been working around the clock to create police-ready vehicles within the last couple of years. 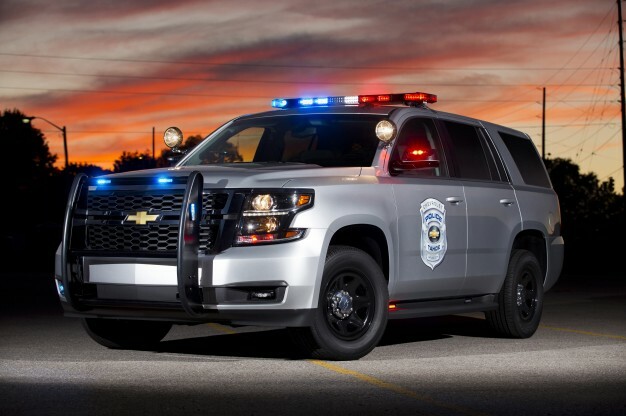 Chevrolet has created a two-wheel drive semi pursuit vehicle, a Four-wheel drive meant to ‘support in general utility for off-road and non-pursuit operations,’ the words of Chevy, and a ‘Special Service’ two-mode hybrid Tahoe. However, recently they designed a 2015 Chevy Tahoe with automatic 4WD engineered specifically for pursuit purposes – V-rated speed tires, heavy duty disc brakes, StabiliTrak electronic stability system on board with traction control and Proactive Roll Avoidance. The Tahoe delivers 355 HP and 383 lb. ft. of torque. This Tahoe is a mean-lean-eating machine and will be seen out on the road in the near future.